In this article I want to discuss the most important characteristics of tennis rackets. There are hundreds of rackets on the market and it can be quite confusing to pick one unless you are an expert. Nowadays the best deals on rackets can usually be found online and this article should help you get an idea for what kind of racket to look for. With tennis rackets, like with all other Tennis Equipment, my recommendation is that you do not invest too much time in the search process unless you really enjoy it. The idea is to find a good racket from the category that fits your level and game style! After you have done that, your time is better spent playing Tennis and working on your game instead of researching tennis rackets for hours and hours! 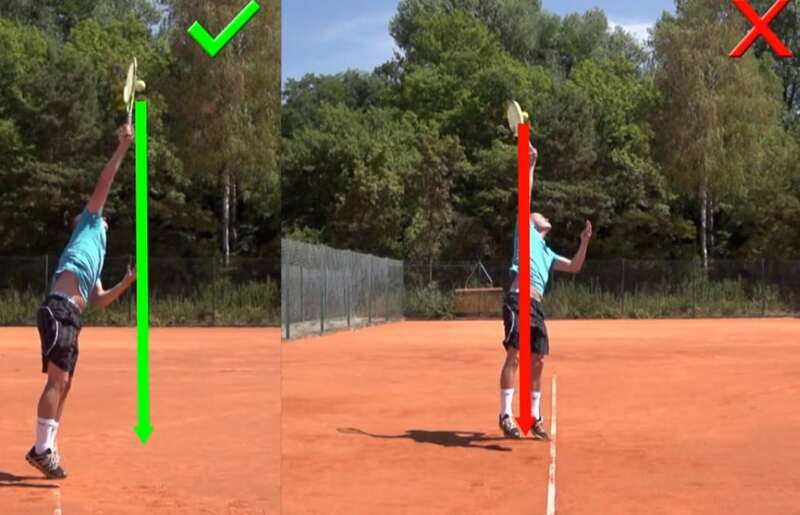 Switching rackets is usually not going to make you a better tennis player! Generally you differentiate between three categories of tennis rackets: Beginners or Power Rackets, Intermediate or Allround Rackets, and Tournament or Control Rackets. Beginners usually use rackets that generate power for them because they cannot generate a lot of power on their own. These rackets tend to have a very large head size of at least 105 sq. inches (these are oversize rackets) and in most cases are very light. Beginner rackets are also very forgiving with a large sweet spot. This basically means that you do not always have to hit the ball perfect to make it go over the net. If you are a beginner you really do not need to spend too much money on the latest top-of-the-line tennis racket. A generic beginners racket should work just fine for almost every beginner! If you are a very athletic beginner and have a talent for ball sports in general, you might be better off starting with an intermediate racket but that would be the exception rather than the norm! These rackets are slightly heavier with a smaller sweet spot. Intermediate players are usually able to generate a decent amount of power on their own and need more control from their racket. Therefore they use allround rackets that are usually 92 sq. inches to 105 sq. inches in size and give the player a good mix of power and control. This category is best suited for recreational players that have been playing for a while and hit the ball reasonably well. Advanced players can generate their own power and therefore do not need the racket to do that for them. Instead they need a racket that gives them as much control as possible. Advanced rackets have the smallest head size beginning at 88 square inches and are often very heavy as well. This makes them difficult to play with. There is a small sweet spot and if you do not hit the ball perfectly it will often result in a miss! If you do hit the sweet spot though, these rackets give you the maximum possible control. Overall these rackets are very difficult to play with and are not well-suited for the average tennis player! So unless you are a really advanced player I recommend you stay away from these kinds of tennis rackets! Choosing a racket for juniors basically comes down to finding the correct length. You want to find as long a racket as the child can comfortably handle. That way they have the best chance of developing a solid game. Starting juniors too early with adult rackets can really harm their development and cause injuries. Recently I had a junior player come to me with chronic arm pain. The kid is a good player and was 13 years old at the time. He is very small and thin for his age though and was using a racket that weighs 330grams. That’s as heavy a racket as many pros use and I cannot even play with that without getting arm pain. That in combination with a polyester string was a recipe for injuries for this young player! Junior rackets can be as short as 19 inches for very young kids. They then slowly progress up to the standard racket length of 27 inches. Most kids older than 12 can often use a standard length racket. Just make sure it is not too heavy! Tennis rackets can vary a lot in price. The newest models of the best rackets often cost around $200. If you want to save some money I would always recommend buying the previous model of the same racket. Usually the rackets do not change much at all with the newer model and you can save a lot of money that way! Bigger racket heads generally give more power and smaller racket heads less power. The bigger rackets also have a larger sweet spot. Therefore oversize rackets are often used for beginning players and smaller and mid-size rackets are often used by more advanced players. Tennis Rackets can vary significantly in weight. As a rule of thumb beginners will use lighter rackets and advanced players usually use heavier rackets. Some of the top pros like Sampras back in the days and Federer these days use extremely heavy rackets! Adult rackets can weigh as little as 8 ounces or 226 grams and go up all the way to 12 ounces or 340 grams. The standard length for tennis rackets is 27 inches or 68.6 centimeters. There are also many rackets on the market these days that are a bit longer at around 28 inches or 71.1 centimeters. Longer rackets provide a bit more reach and leverage. They can be very beneficial on the serve. The longer racket is tougher to maneuver though and will give you less control. If you hit the sweet spot on a tennis racket it feels really good. The ball connects well with the racket and the stroke feels effortless. The player feels very little vibration in the arm. If you do not hit the sweet spot on the other hand the stroke will not feel good and you can feel a lot of vibration in your arm. Pros often use tennis rackets with smaller sweet spot because they can consistently connect with the smaller sweet spot and the racket provides more control. Beginners need rackets with a larger sweet spot. Here we can differentiate between open string patterns and close string patterns. With open string patterns there is a lot of space in between the strings and close string patterns are the opposite. Open string patterns give you a bit more power and spin yet less control. The same string in racket with an open string pattern will break much more frequently than in a racket with a closer string pattern! Common string patterns are 16×18 and 18×20. This means that there are 16 strings in the main and 18 in the crosses for example. Pro Tennis Players very rarely change their rackets. Some of them actually play the exact same model that they used a long time ago when they were juniors. The racket companies will often paint the new look over an old frame if a world-class player requests that! The most important thing in my opinion is to find the right category of rackets to choose from. The particular choice within that category will usually not make a huge difference. If you are a beginner I recommend buying a generic beginners racket like the Wilson K Zero for example. Buying a top-of-the-line racket with the best string on the market will not make much of a difference and your money is better invested in some Tennis Lessons! For intermediate players I like rackets like the Head Youtek Radical Lite. These kinds of rackets will fit many game styles and player types. Advanced players can tinker a bit more with their racket choice. Personally, I think the Head Prestige is one of the best rackets to play with if you can handle that kind of a difficult tennis racket. Once you have found a good racket and string to play with it is time to work on your tennis game! 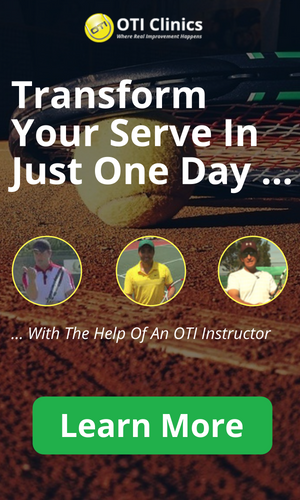 Check out the Tennis Video Instruction section on this site if you are aiming for some major improvements with your game! So that was it for Tennis Rackets!